Basics: This 13.8 mile round trip hike climbs 3000-ish feet from the Ojai “guacamole wilderness” to the top of one of the area’s most prominent peaks. There is a skeleton of an old fire lookout at the top. 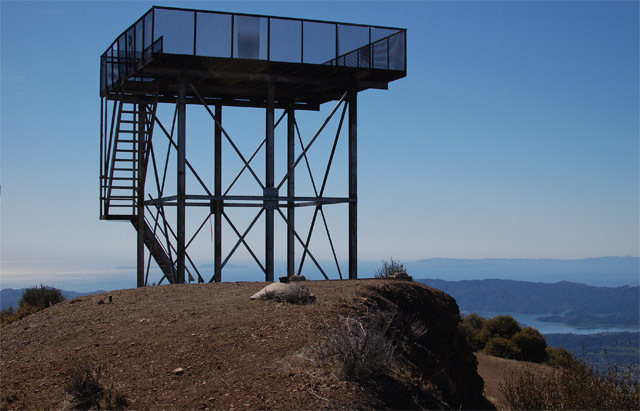 It’s a great climb – views to Reyes Peak, Topatopa and out towards the Channel Islands. 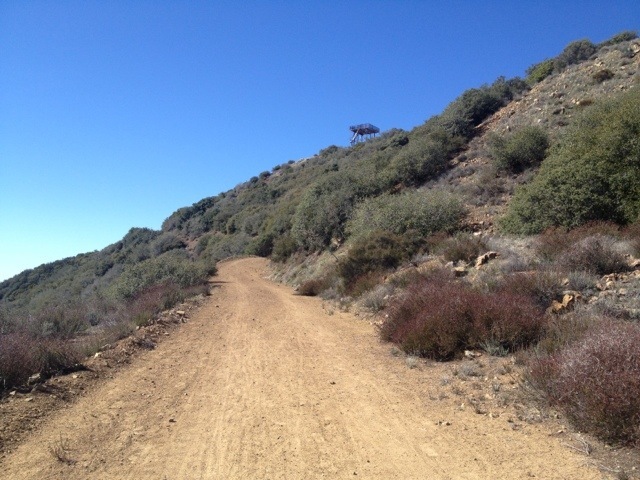 This is a popular trail with hikers and mountain bikers, but on a clear blue Sunday in February, it did not feel like it was overrun with crowds. Note: GPS based distance is approximate. 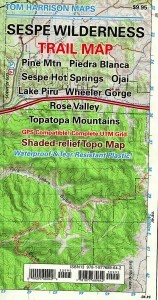 Download gpx of this route. Download kml of this route. 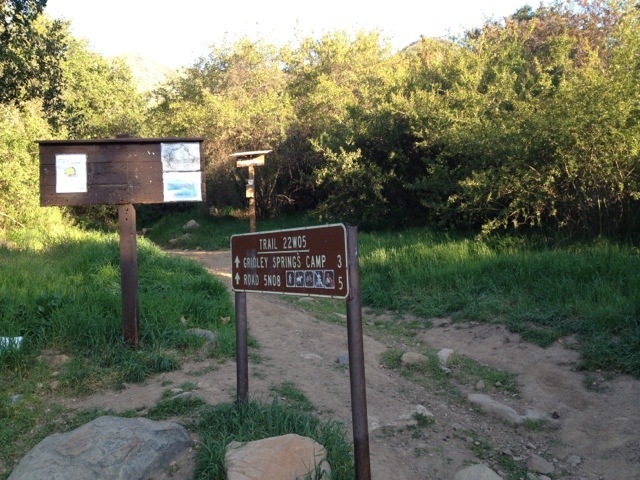 Directions to Trailhead: From highway 150 in Ojai, CA, turn north on Gridley Road. Follow it to the end. There is a cul-de-sac at the end of the road with plenty of parking. The trailhead is just a short ways before the cul-de-sac, on the left. We drove right past it and didn’t see it, then got confused. It was early, the caffeine hadn’t quite kicked in. The Gridley Trail is well signed for the first half mile as it passes through private property- mostly avocado orchards. Hiking up a steep, grassy green slope through fruit trees reminded me of hiking in Switzerland, even though the vegetation and climate are completely different. Soon the wider road we were on narrowed to a single track and entered the typical scrub oak and chaparral landscape. At mile 2.7 we came upon a horse trough filled with fresh water. 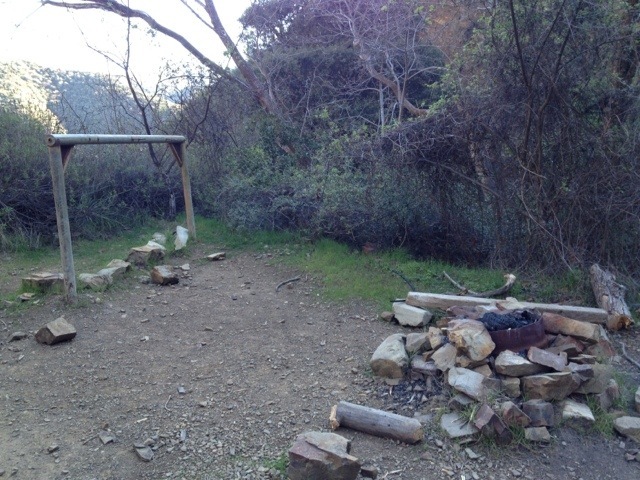 There was a small area with a fire ring – Gridley Springs Camp. There did not appear to be a huge area for pitching a tent- perhaps this campsite was bigger before being incinerated by the 1985 Wheeler Fire. 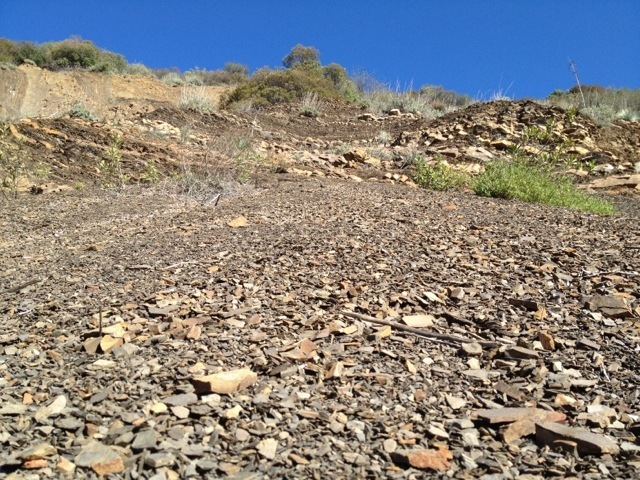 From Gridley Springs, the trail got a little steeper and switch backed up through more chaparral. 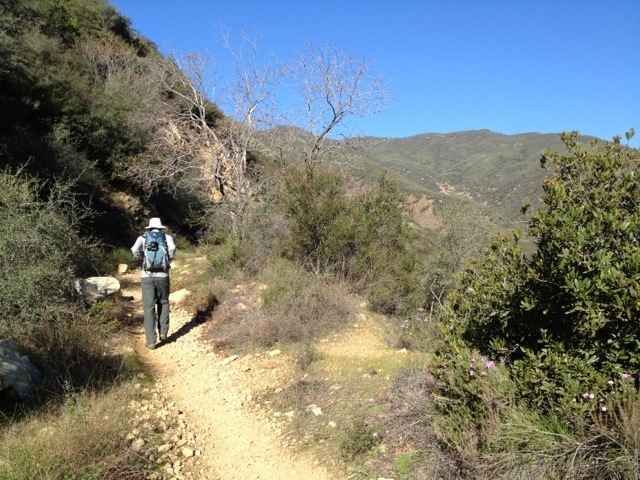 We soon had views down to Ojai, over towards Chief Peak and Topatopa Bluff, and up towards our destination! We continued on for 3.1 and made it to Nordhoff Ridge Road. From the junction with the road, we turned left and hiked the remaining 1.1 miles to our destination. The hike up took just under 3 hours. The frame of the old fire lookout still stands atop Nordhoff Peak. We climbed to the top and had lunch on the old platform. The mesh grate did not make for the most comfortable seat, but the views made up for it and the weather was perfect. We spent nearly an hour at the top. On our way down, we saw half a dozen people headed towards the peak. I guess we beat the Sunday afternoon rush. Overall, this was a great winter hike- awesome views, not super crowded, and long but not totally crazy.